VIENNA - The prospect of undergoing an MRI scan can trigger anxiety in any patient -- and arguably even more so in a child. To alleviate this and reduce anesthesia use, Danish radiologists helped develop an app that educates children about their pending experience, according to a study presented on Thursday at ECR 2018. The app is called "HC And," and it features animated characters that explain what to expect from the MRI scan on a level suited to the child's age and cognitive ability. Clinicians at Odense University Hospital completed MRI scans with no need for general anesthesia on 52 children who viewed the program. This included 11 young patients who were scheduled to have the sedative. 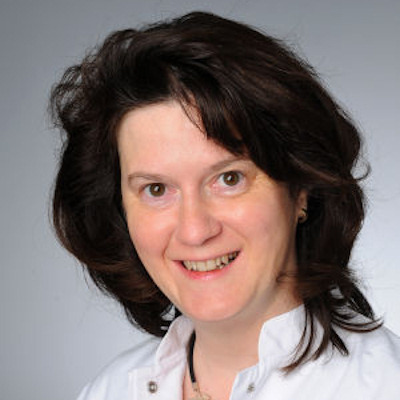 "Our conclusion is that by using communication at the child's cognitive level, more children will complete MRI scans without general anesthesia," said study co-author Signe Scheffmann Olloni, a radiographer at Odense. "At the same time, the use of the app improves the parents' perception of the child's confidence ... to go through the MRI scan." HC And was created through a collaboration between Odense University Hospital, Odense's Hans Christian Andersen Children's Hospital, and 10:30 Visual Communication, which develops products for print and digital media for private companies and public institutions. The ultimate goal of the app is to provide an informative and friendly way to prepare the young patients for their MRI exam, since most of the children are "poorly informed" about the procedure, Olloni said. "They did not know the scanner would make lots of noise, that they would have to lay still, and so on," she told ECR attendees. "It also was our experience that it was difficult for us to maintain a good relationship with the child and provide the necessary information." For the study, 52 sets of parents consented to have their children participate; 11 of the children (21%) were scheduled to have general anesthesia for the scan. The only inclusion criterion was that the subjects be between 4 and 9 years of age. The children were referred for MR imaging for a variety of symptoms and related diagnoses. Approximately half of the exams were performed on the brain. The parents were asked to arrive with their children 30 minutes early for the MRI scan. The additional time allowed the radiologists to establish a good rapport with the young patients and to use the app to educate them about the exam. The children were also allowed to choose the music they would listen to during the scan. As part of the study, the parents were asked to fill out a questionnaire to evaluate how their child's confidence level changed after viewing the app. After viewing the educational app, all 52 children completed their respective MRI scans without anesthesia. As for the questionnaire, all 52 sets of parents rated the app's efficacy as "excellent" or "good," and they "agreed" or "strongly agreed" that their child received more information about the scan using the app. Finally, all parents felt that the app increased their child's confidence both before and during the scan. HC And has done so well that the app has become part of Odense's standard routine for preparing pediatric patients for their MRI scans. "In that way, we try to ensure that MRI with general anesthesia will only be offered to those children who cannot complete the scan without general anesthesia," Olloni said. To further validate the positive effects of the app, the researchers examined a three-month period in 2015 (April to June) during which clinicians scanned 49% of pediatric patients using general anesthesia. During the same three-month period in 2017, by adding the app and better preparing the children for their MRI experience, the facility reduced the number of patients given general anesthesia to 26%. There has also been a ripple effect within Odense's radiology department. There is no longer a wait time for pediatric MRI scans with general anesthesia, compared with a wait time of 12 weeks before the start of the study. The hospital often performs multiple MRI scans on pediatric patients who need follow-up for their conditions. When these children have a good experience with their first MRI scan, it is highly likely that follow-up scans will be even easier, Olloni said.